A Züco Riola won’t shorten a lengthy meeting, but it will most certainly make it more comfortable. 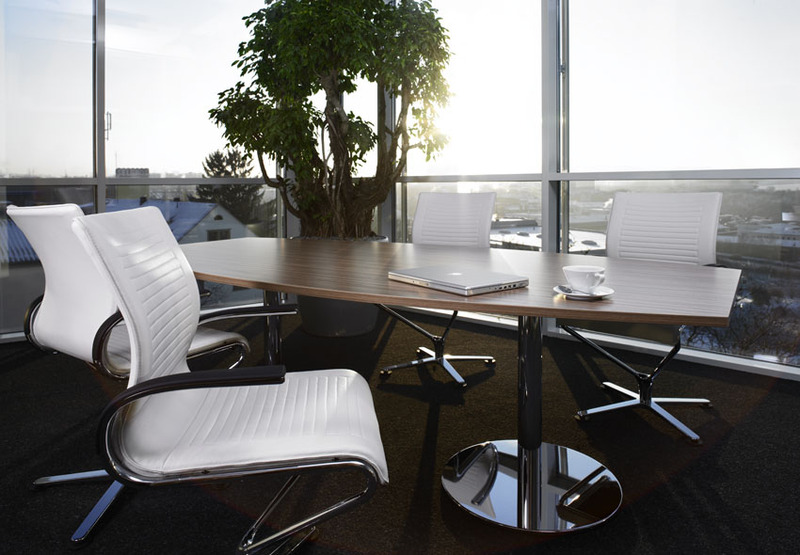 Its supple form braces, supports and promotes sustained concentration while allowing for a relaxed recline. 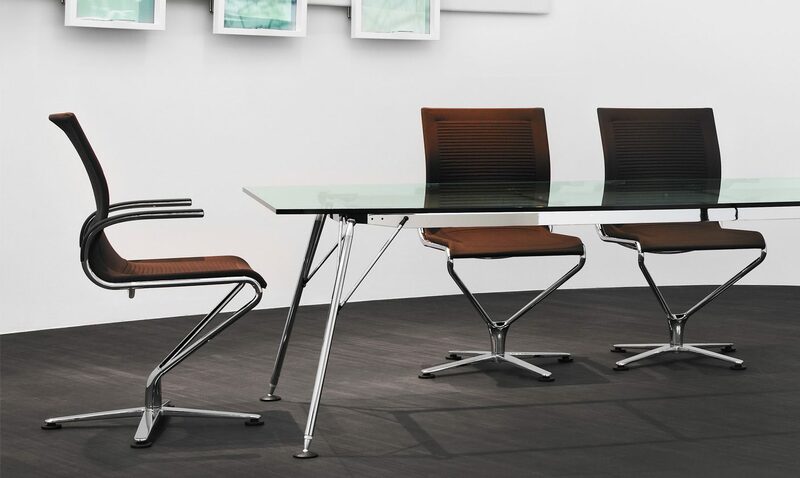 Züco Riola provides comfort and freedom of movement in any setting. 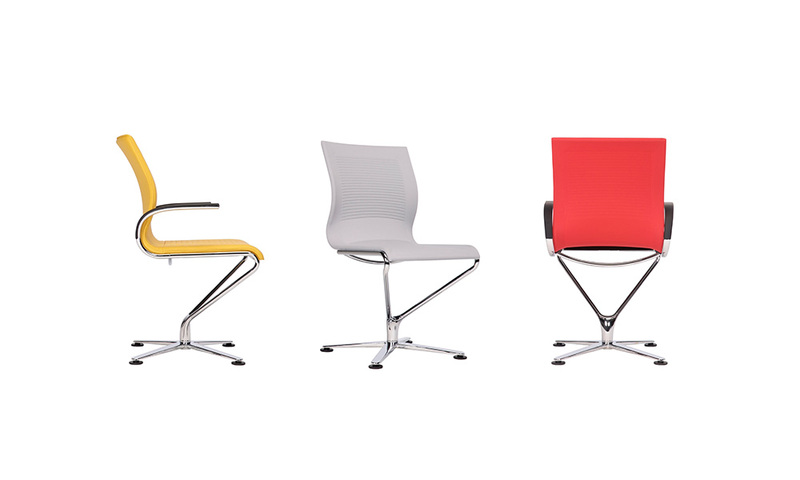 The right basis for a conversation and an eye catching design from any angle. As as standard comes in 5 colours of knitted fabrics. 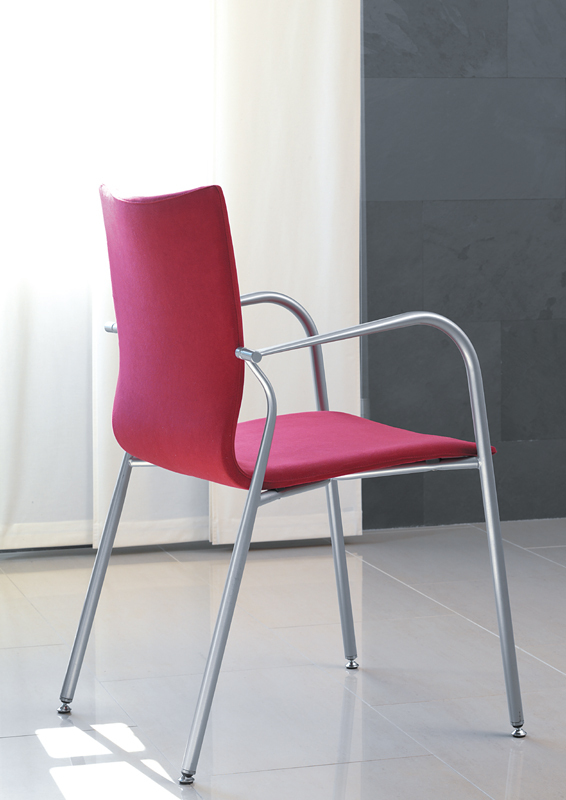 Optionally available fully upholstered in leather, 20 colours from Lavalina leather collection. 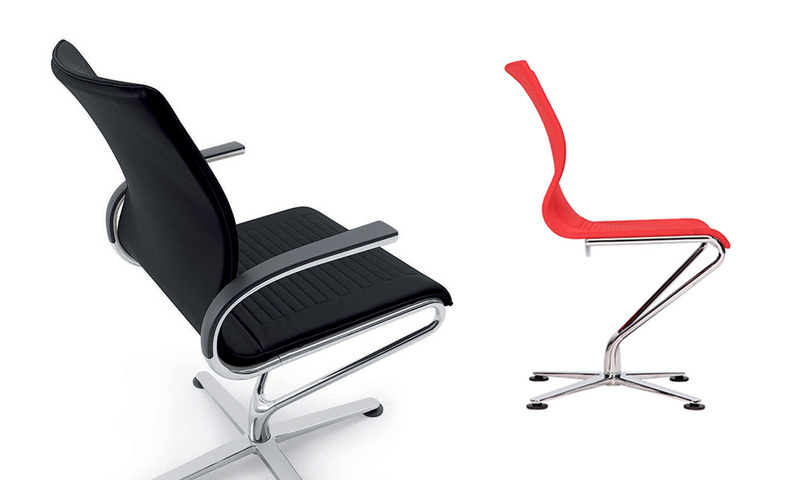 Armrests available in black soft-lacquer coating or fully chromed. Available as a sled base chair. Base is made of a chrome-plated steel, plastic glides for carpet, linoleum or stone, felt pads for hardwood floors (optional). 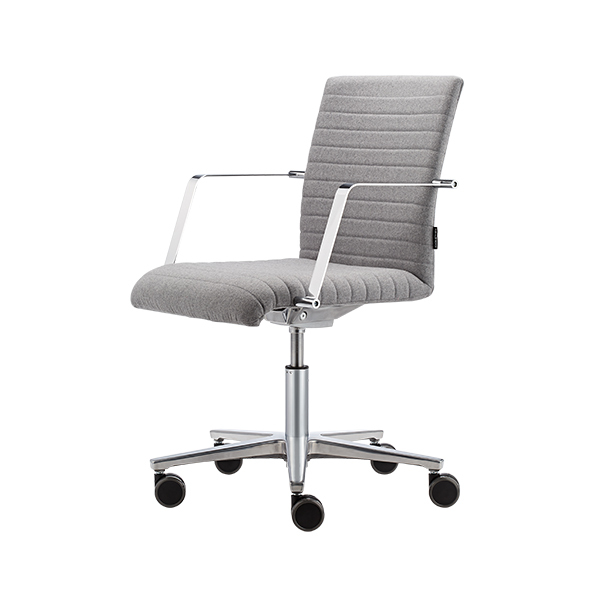 Swivel base with glides in chromed aluminium, seat support fully upholstered with special knitted fabric with different hardness zones in the seat and back. Steel frame for high stress parts and die-cast aluminium for others, polyurethane (foam) - Polypropylene (gliders). 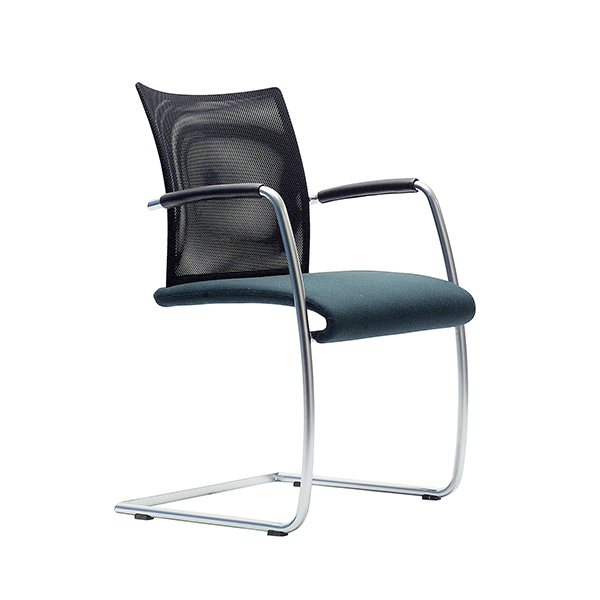 Armrests of chromed cast aluminum with armrest pad in black ABS plastic or fully chrome plated optional.